Sumit Shrivastava. Welcome guys. I know you've been on the road pretty nonstop over the last few weeks, and I heard some fun stories that we (unfortunately) won't get into. Instead, I wanted to use the time today to talk about your visit to the Starbucks Reserve Roastery & Tasting Room in Seattle. Straight off the bat - first impressions from everyone? Gaurav Pant. I was hooked with the first whiff of coffee that I got when we entered the Roastery, the place just smelt delicious. Visually, the space has great composition and reminded me of Eataly with distinct spaces for food, merchandise, drinks and naturally coffee. The combination of the polished copper/brass and wood just makes the space look very elegant. The coolest part was watching the roasting process in action as we sipped on our coffees. Dave Weinand. First and foremost, the scale was awesome. 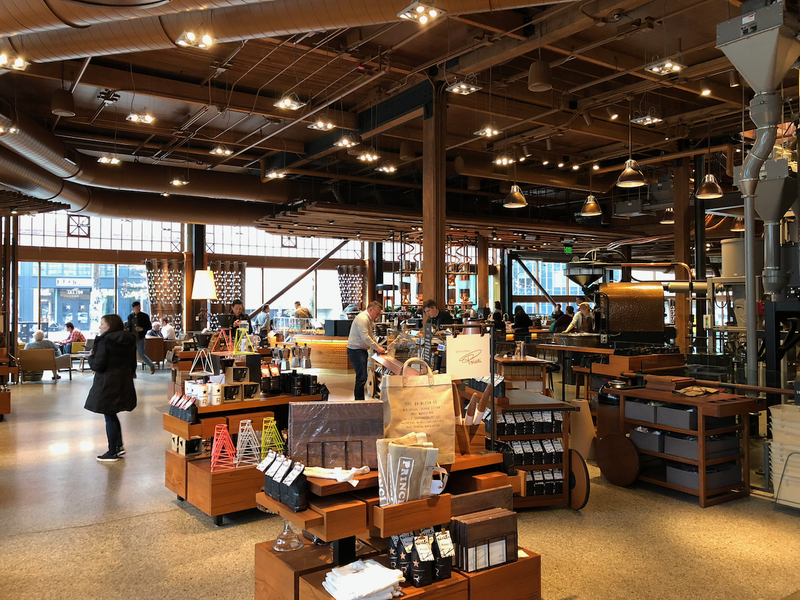 With unique sections for food, specialty coffee, bar, and seating areas (all within view of massive roasting silos), the store was unique and inviting. There was also a section with curated merchandise, including apparel from a local artist. The day we went was the first day for their Italian bakery and hot breakfast menu. Some kinks needed to be worked out as they were already out of some of the items to go with their breakfast dishes. Price points for the food were on par with similar restaurants but the coffees were super premium. It would be difficult to justify a daily stop for coffee here. Giri Agarwal. Great experience overall. Quite a grand setting that’s even more impressive than the pictures. Importantly, it’s still got the welcoming vibe you want from your neighborhood coffee shop. Could’ve easily erred on being too overwhelming or intimidating. One of the baristas was standing up front near the entrance and welcomed us into the space, which was a nice touch. Sumit Shrivastava. Just out of curiosity - what did you order? Gaurav Pant. I wanted to get the eggs in purgatory, but they were out of bread! So clearly first day with the bakery wasn’t going that well. I got the egg sandwich, which was pretty good, the pastries we shared were just so-so. The coffee was excellent and I regret not doing the coffee-chocolate flight. Dave Weinand. The steel cut oats and they were awesome. Not overcooked like so many restaurants do. We tried a few bakery items as well and unfortunately they were a little dry. Giri Agarwal. I had the same as Gaurav. The sandwich was really good. The star was the coffee, however. The store staff was attentive and frequently came by to ask if we needed anything. Unfortunately, to add to your order you do need to go back up to the register to pay. Sumit Shrivastava. In a recent post we laid out the vast ecosystem that QSR and Fast Casual restaurants now compete in. While that post was focused on consumers’ increasing eat-at-home habit, the reality is Starbucks needs to contend with a few different threats - the ever increasing quality of home-brewing systems such as Keurig, pricing pressure from cheaper chain alternatives (McDonald’s, Dunkin’), and a direct attack on brand-identity and customer connection from the artisan appeal of local coffee shops or newer competitors such as Blue Bottle Coffee. 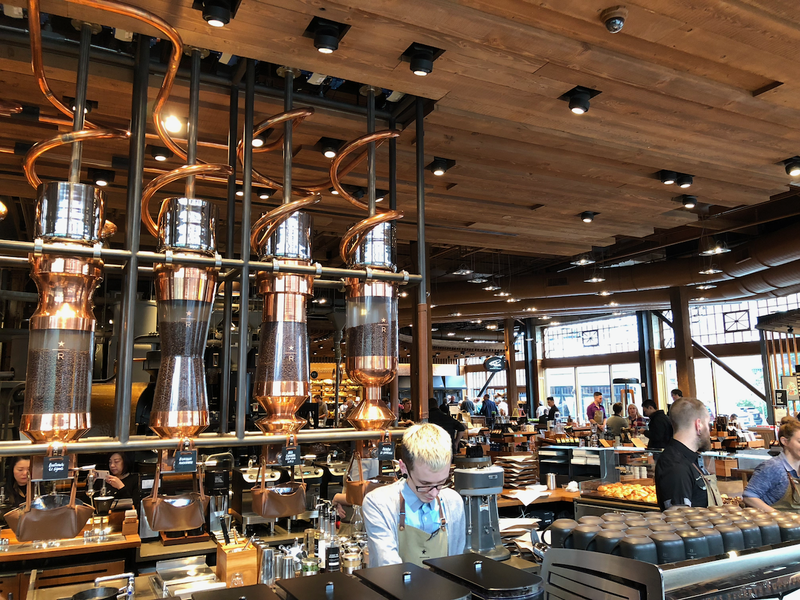 Where do you see flagship experiences such as the Roastery fitting into Starbucks’ strategy? What do you believe are the foundational building blocks of scaling such experiences? Gaurav Pant. 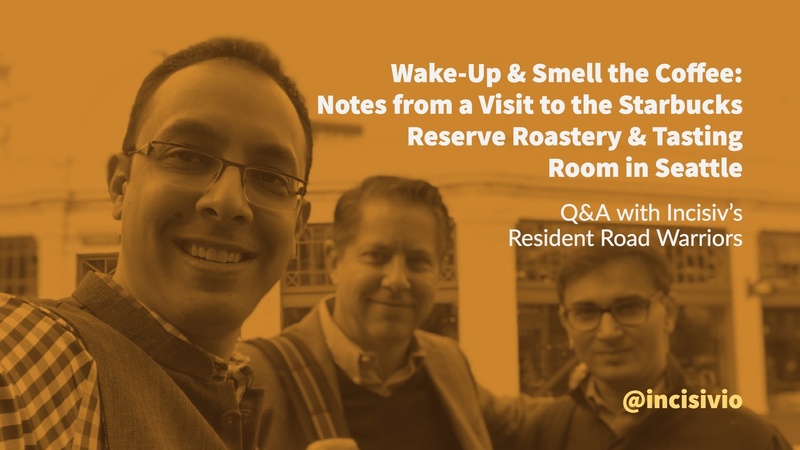 The Roastery should be a cornerstone of their strategy, it's where they get to present their brand experience at its finest and showcase their expertise of coffee. I don’t see them scaling the overall Roastery concept anytime soon, the concept will be scarce and limited to select global cities. It is like Disneyland for coffee - there will be few, but they will be ubercool. 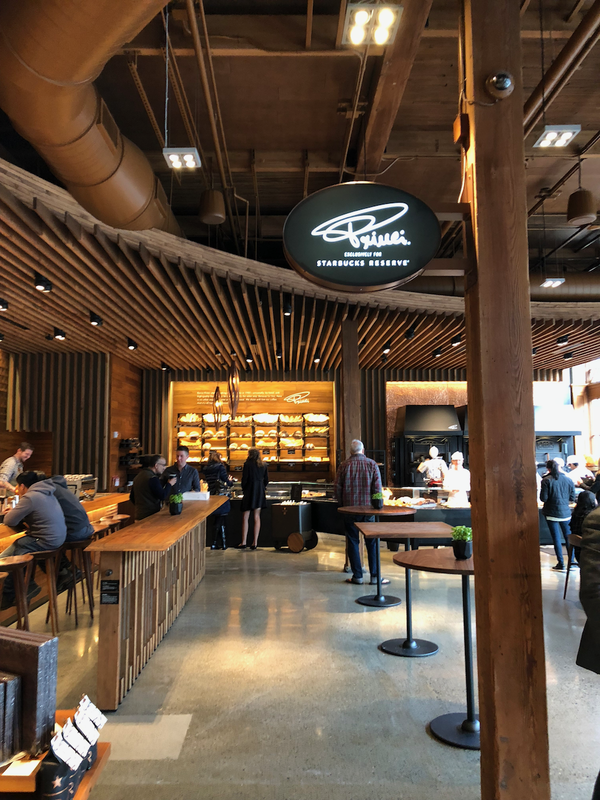 Now that experience gives them the street-cred to become the destination for people who care about their coffee (but not enough to have ironic facial hair), so they can charge twice or thrice what another large chain brands can do. Am sure there are elements (menu items, limited product) from the Roastery that they will try to scale over time, the core building block to getting that right is training. Knowing how to best represent and make/brew the product is fundamental to having the artisanal coffee vibe with the right process to do it at scale. 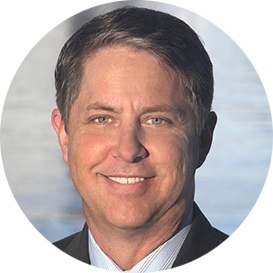 Dave Weinand. Starbucks has always had the strategy of their locations being the ‘third place’ after home and office. While I don’t see this format scaling beyond major metropolitan cities, the larger, more open format is super inviting and much more conducive to work and meet than their core (and usually extremely loud) stores. Also, none of their competition has taken the coffee ‘experience’ to this level. Certainly the ‘convenience’ guys like Dunkin or Tim Hortons aren’t doing this and the ‘hipster’ guys like local coffee shops aren’t going to invest in this type of format. This further separates the Starbucks brand creates differentiation in a format that is really difficult to differentiate in. Giri Agarwal. Fundamentally the Roastery is more an expression of their brand than it is a scalable store format. This is similar to what other brands that have (or hope to have) a strong consumer connection have also done; be it Nike’s flagship in NYC or Japan’s WeChat competitor Line’s strange but wonderful Times Square store. More brick and mortar retailers need to realize stores are a form of media. 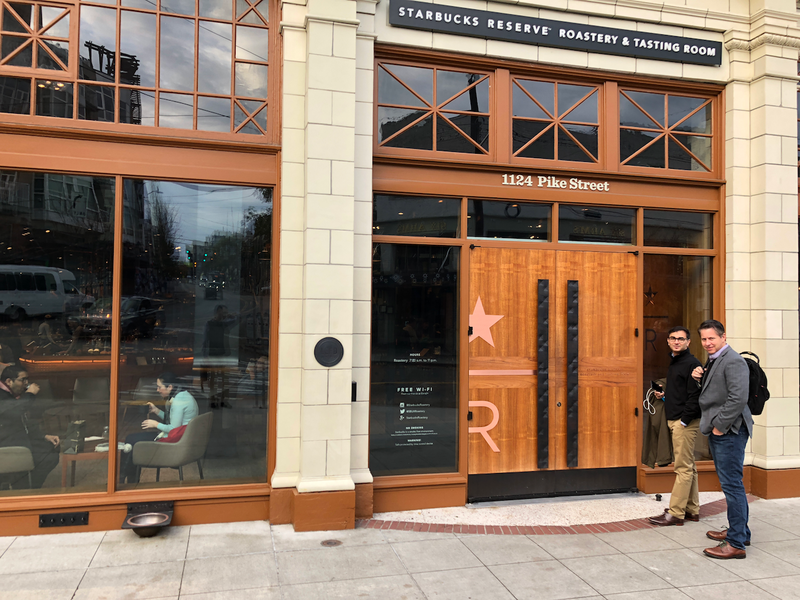 Starbucks will do well to borrow elements from the Roastery to more of its “Reserve” locations worldwide, gradually elevating itself into one of those rare brands that are able to balance the opposing forces of artisan appeal and global corporation scale. 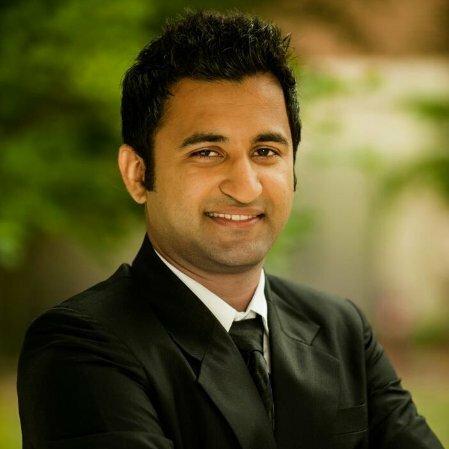 Sumit Shrivastava. Thanks for your time, guys. This completes our 2017 Trilogy (featuring Starbucks, Apple and Sephora) of retailers who are continuing to transform themselves, especially their store experience, even as they are at the top of their game.